HIT CHANNEL INTERVIEW: June 2011. 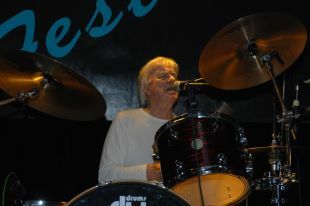 Hit Channel had the great honour to talk with a true legend:The Yardbirds drummer Jim McCarty. The Yardbirds are a very influential and important band since 60s.They performed even in Antonioni’s “Blow Out” film. Three of the greatest guitarists ever were ex-Yardbirds members: Eric Clapton, Jeff Beck and Jimmy Page. Jim is playing with Yardbirds since 1963 and we have many things to learn from his words. His last solo album “Sitting on The Top of Time” featuring Steve Hackett (ex-Genesis) is on stores. Buy it! First congratulations for your album ‘Sitting on the Top of Time’!Was it a difficult efford to record it? What feedback have you got so far from fans and press? Quite a long story on this, but basically Ron Korb and I had the idea of recording it in Toronto when he came and stayed with me in Provence on his way to Midem one year. He showed me a DVD of his with Donald Quan playing piano on it and I was immediately impressed. I gradually wrote all the songs at home and recorded in Toronto each time I did a US tour with the Yardbirds. It was great fun! Feedback from fans and press have overall been very good – of course the real rock fans expect something a bit heavier! How important was Ron Korb’s contribution in ‘Sitting on The Top of Time’? Did he urge you to try different things at studio? Ron`s involvement was a big one as he knew all the musicians and the studio! How it happened to have the great Steve Hackett partipating in it? Is he an old friend of yours? I ‘ve know Steve for a long time, and he contributed to ‘Box of Frogs’ (ed: band in 80s constisting of Yardbirds members with special guests musicians like Jeff Beck,Jimmy Page,Rory Gallagher and others) . He ‘s a great guy and a fantastic musician. He ‘s a big Yardbirds fan. You are doing numerous tour dates with Yardbirds every year. Do you think playing live is the best way for a musician to show what he/she really deserves? Don`t quite understand this – I do get a great kick still out of playing, though I sometimes wonder why I carry on. “Birdland» is the last studio work from Yardbirds. 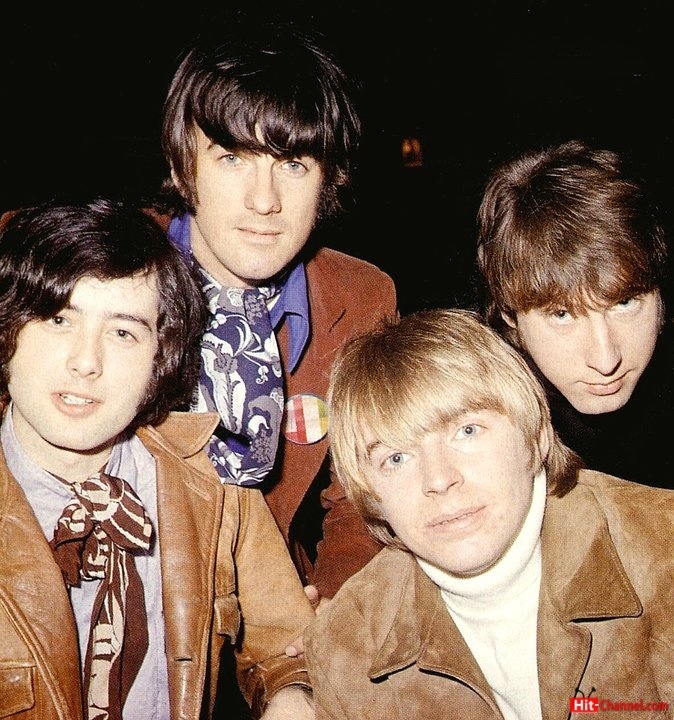 How emotional was for you doing a Yardbirds album after all these years? Were you flattered with participation of many great guitarists (Steve Vai, Joe Satriani, Slash, Brian May, Jeff “Skunk” Baxter and Johnny Rzeznik) for that album, including Jeff Beck ofcourse? It was quite surprising the reaction of all the guitar players who contributed to ‘Birdland’ and very gratifying. I think they all played Yardbirds songs at some time in their careers.Great fun with Jeff also! I always wanted to ask this:Who had the idea to cover ‘Dazed and Confuzed’ after you saw Jake Holmes playing it while he was opening for you in 1967 US tour?Did Jimmy Page got so enthusiastic when he heard it or was Keith Relf (ed:Yardbirds singer died in 1976 from electrocution) in fact the person who suggested it to cover it as I’ve heard? It was my idea to do that song when we played with Jake because I liked the guitar riff. Next day I went to Greenwich Village and bought the album. You formed Renaissance with Keith Relf. Had you ever considered the tremendous effect that the first two albums had to bands like Mostly Autumn and to musicians like Ritchie Blackmore (Rainbow covered “Still I’m Sad” co-written by Jim McCarty in their debut? Looking back on Renaissance I can see that we were probably the first prog rock band. It was just by accident that John Hawken started playing Beethoven in the middle of one of our songs! Who drummers contemporaries to you, do you like? I guess you like Charlie Watts’ style,right? I suppose I like a lot of drummers in different styles – some of the classic 60`s drummers like Keith Moon and Ginger Baker and of course jazzers like Jo Morello and Buddy Rich. Hal Blaine was good and I like Airto Moreira (he is quite different). Is there anyone you’d like to play and hasn’t happened yet? Maybe with Steve Winwood? People I`d like to play with; – I guess many, which would include Steve Winwood and Steve Hackett(that would be great) – Steve Vai(that`s happened). But it was always something to play with Jeff! I like lots of different music – anything that evokes a special mood – all sorts of classical and World music. Who were those Greek guys that played the panpipes for Ennio Morricone? Have you ever been in Greece? Send a message to Greek Yardbirds fans?